Two weeks ago marked the tragic passing of one of the Porsche community's nicest and most charitable members in Mr. John Dixon. His collection, known as the Taj Ma Garaj, is one of the strangest assemblages of Porsche cars in the world. We thought it would be fitting to commemorate the life of the man by taking a look at two of his most unique pieces. One of the most eclectic pieces in the Taj Ma Garaj collection is known as "the Kruezer". John had this car built as a testament to his own personal style; a little bit crazy, a little off the wall, but sure to make everyone smile. 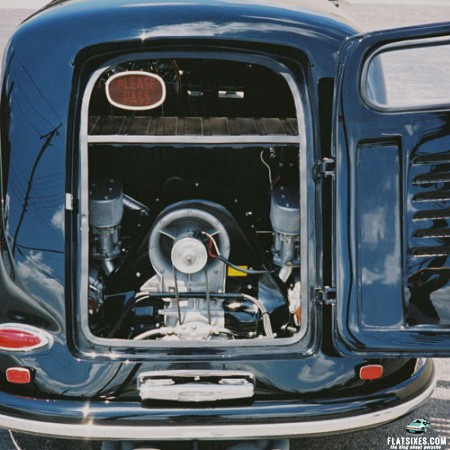 Assembling a custom Porsche from his collection of rare parts and pieces, John built the perfect 356 Sedan Delivery. If you didn't know better, you'd guess it was factory assembled. The devil, as they say, is in the details, and this car has them in spades. A reasonably quick shove in the back is provided by the twin-cam Carrera engine, which also gifts the car with a gloriously mechanical soundtrack. Built on the bones of a 1958 Speedster, the Porsche has been absolutely transformed to the breadvan-esque runabout seen here. Granted, there isn't much additional room back there to hold your luggage, but there is always the section where the rear seats would be and the front trunk to store your weekend travel gear. Besides, who cares when your chariot looks this good. 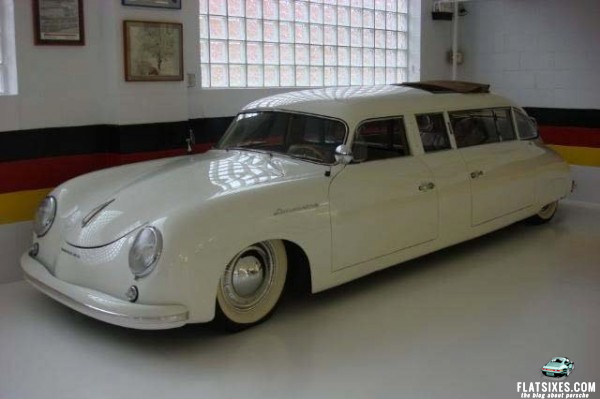 Another of the Taj secret crown jewels is the 356 Limousine. Very little is actually known about this car around the Porsche world. 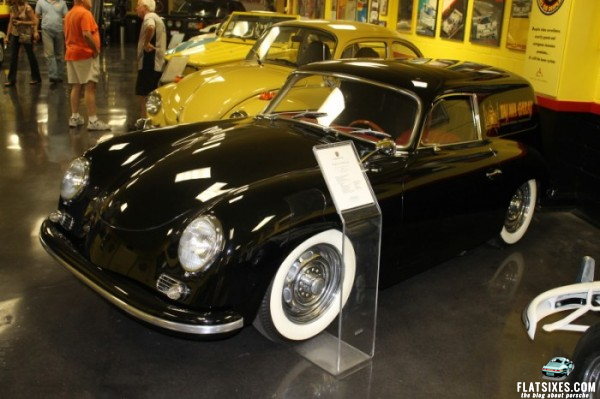 Sure, there are a handful of photographs of the car, either inside the museum or out at the 356 Holiday a number of years ago. 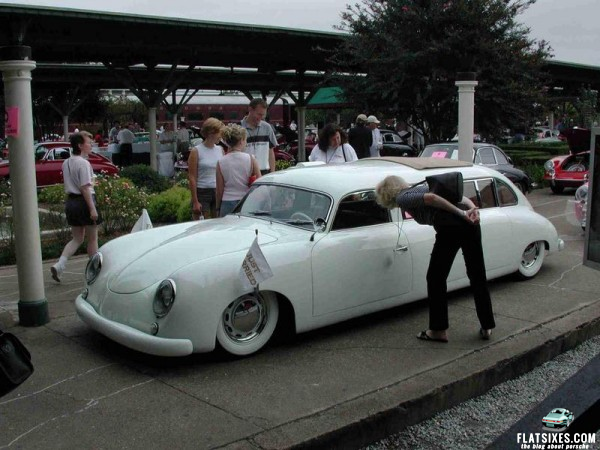 It is a gorgeous white lengthened coupe that appears to have been crafted from a standard 356 Pre-A coupe built in 1953, judging by the twin rear "beehive" tail lamps, the bent windshield, and the layout of the front turn signals. 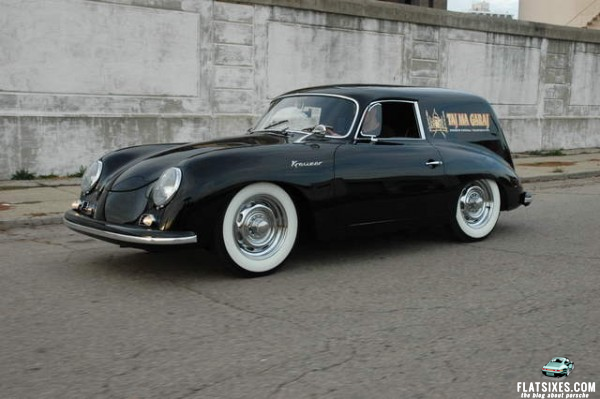 The pictures from the 356 Holiday appear to show the car in a "not-quite-finished" trim, as the wheel trim rings are not installed, there is no hood handle, and the custom "limousine" badges on the front fenders have not been applied. As you can tell from the photos of the Porsche from inside the museum, these pieces have since been added, and make the car look much more complete. The apparently Volkswagen derived soft-top sunroof is an excellent period touch, and the custom work along the side of the body looks to have been done quite well. 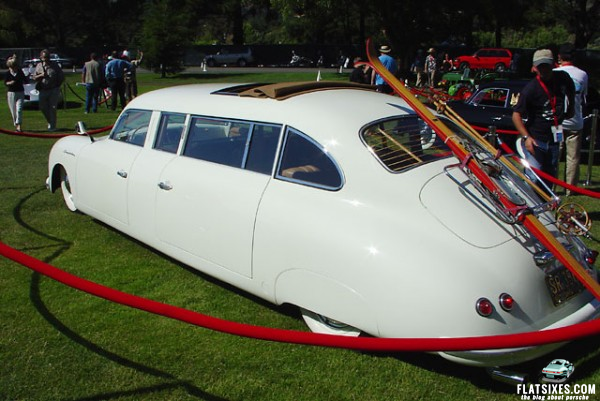 The waves and undulations, often present in the body work of modern limousine conversions, are conspicuously absent. 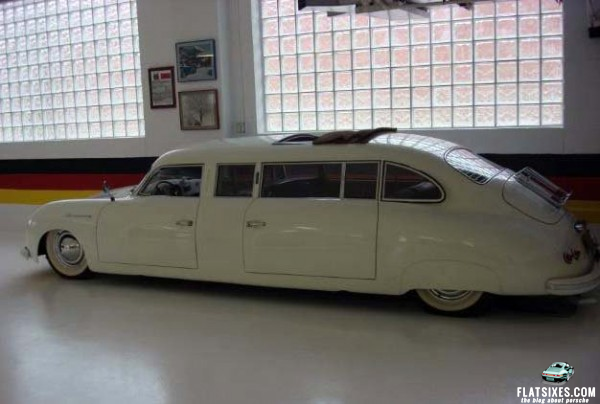 While the Limo doesn't look quite as "factory" as the Kruezer does, it still looks very well done, using quality parts and tremendous bodywork to accomplish the task. Some custom touches like the electrically heated rear window do give the car away, though I still wouldn't turn down the opportunity to drive and/or ride in this crazy contraption. Given the choice, I'd still choose an afternoon with the Kreuzer over an evening with the Limo. Which would you rather have for a day? On August 24, the PCA regions of Ohio Valley and Mid-Ohio co-sponsored a tribute to John Dixon held at “the Taj” to honor his legendary contributions to Porsche enthusiasts and to raise funds for one of John’s favorite charities. Sadly, he was too ill to attend in person but did so in spirit as PCA members and families wandered throughout his museum swapping stories and recalling John’s life long commitment to good humor and fellowship. John passed a few days thereafter, and he is missed. Thanks for sharing. That’s a wonderful thing the PCA did. Has there been any discussion as to what will happen to the museum? Or, is it still too soon at this point? I had some great times with John when we imported his Porsche 959. His generosity and unique style will not soon be duplicated and I will miss him.